Professionals Childress and Beauchamp critique several of the distinctions between very similar pairs of ideas in the field of medicine. The first distinction that they condemn is the difference between “withholding” and “withdrawing”. Withholding in the field of medicine refers to not beginning a certain treatment, most likely because it has a very small chance of working successfully and it could cause excessive burden to the patient or their family. Withholding has traditionally been viewed as a morally right or optional practice in the right circumstances. Withholding treatment can be viewed by some as omission because a patient may die from not beginning a potentially life saving treatment. The patient will die with no treatment although it is from their illness not from the physician necessarily. Withdrawing on the other hand is defined as the termination of a specific treatment after it has been determined to be ineffective or too overly burdensome on a patient or their family. Withdrawing a treatment seems to be much more difficult than withholding a treatment at times because once a treatment has been initiated there are expectations from the patient and family to continue the treatment. The act of withdrawing a treatment from a patient can be so difficult that some physicians will not give a patient a highly burdensome treatment with a low success rate because they do not want to risk the possibility of having to go through the withdrawal process if it is ineffective. The act of withdrawing a life-sustaining treatment can be viewed as an act of commission because the patient will die because of the terminated treatment, although they actually die from their advanced condition. There has been much controversy over whether to continue treatments that seem to be ineffective and which measures to continue. A major opinion is that all “extraordinary” or “heroic measures” treatments such as artificial nutrition should be discontinued if rendered ineffective while several others would be strongly against removing these treatments after they have been started. If something goes wrong in a treatment should it be corrected since the treatment has already begun or should it be removed when it will technically be considered omission? A distinction between withholding and withdrawing is very dangerous because the names of these two actions greatly affect the decisions made by the medical team. The courts so far have been encouraging proportionality analysis of benefits versus burdens for a specific treatment. Both withholding and withdrawing can be justified in certain situations but they pretty much cause the same result regardless. Courts recognize omission if there is a legal obligation to act, but if a treatment has been rendered ineffective then a medical team has no duty to continue. By the same token, if a physician has a duty not to treat then it would be a violation not to withdraw. Childress and Beauchamp are supportive of court rulings’ decisions to make decision about beginning, continuing, or withdrawing a treatment based on the patient’s welfare. As long as treatment options are fully explained to the patient or authorized surrogate then a physician should not be blamed for any negative outcomes decided by a false distinction alone. Childress and Beauchamp’s argument to get rid of the distinction between withholding and withdrawing seems to help the argument for removal of artificial nutrition and hydration in permanently vegetative state (PVS) patients. They argue for a benefits versus burdens analysis for the patient and their family to determine if a treatment is overly taxing or ineffective. If artificial nutrition and hydration are not giving the patient any benefit because they are permanently and severely brain damaged then the physical and psychological pain from the treatment should be ended with the removal of the feeding tubes. Artificial feeding should be viewed as an extraordinary treatment that does not have to be continued by a physician if it has been proven ineffective for the patient. The conclusions that Childress and Beauchamp reach could potentially be used by those that believe feeding tubes in PVS patients should not be removed once treatment as begun. They could always say that treatment decisions should be in a patient’s best interest and that it is always in their best interest to stay alive. This argument, although somewhat flawed, would claim withdrawing as euthanasia by commission. The second distinction that Childress and Beauchamp condemn is the difference between “ordinary” and “inordinary” treatment. Traditionally ordinary treatments have primarily been seen as usual, customary, simple, non-invasive, inexpensive, and routine procedures for patients that cannot be forgone. Childress and Beauchamp think it is ridiculous that Roman Catholic tradition deems refusal of ordinary treatment as suicide and thus a major sin. Inordinary or extraordinary treatments have been vaguely labeled as unusual, uncustomary, artificial, complex, expensive, or invasive for patients and may be forgone. Usually in these inordinary treatments there is not a reasonable amount of hope that it will succeed. Childress and Beauchamp believe that when examining a treatment a patient or physician should not go by these traditional and sometimes misleading definitions but instead opt for a benefits versus burden analysis. The benefits and burdens are identified in any treatment and then the chances of success are analyzed before a decision is made. A burdensome treatment that has a very strong reasonable benefits should be viewed as morally optional and subjective for the patient and their family. A concrete distinction between these two treatment types should not dictate how physicians should act, the patient’s best interest only must be the focus. The third traditional distinction that Childress and Beauchamp criticize is the distinction between “sustenance technologies” and “medical treatments”. Sustenance technologies or non-medical treatments consist of maintaining basic life through hydration and food more often considered ordinary treatments. Medical treatment consists of unnatural means of maintaining life through kidney dialysis machines, respirators, etc and are seen more often as extraordinary measures. These definitions are very vague and even overlap when it comes to the hybrid type treatment of artificially administered nutrition and hydration. Several court cases have supported the removal of feeding tubes after a certain point in treatment when it has been determined ineffective and therefore useless. Childress and Beauchamp argue that there should be less of a distinction between these two treatment classifications because there is no morally relevant difference between various life-sustaining technology. It should not matter if these measures are viewed as natural or unnatural means as long as the result is the same, to prolong life. Also they refer to the fact that a patient has the right to refuse any type of medical treatment and this decision is not contingent on the type of treatment. They claim there are risks and pain for medically administered nutrition and hydration and even evidence suggesting a decrease in pain with removal of artificial feeding tubes than that caused by continued treatment. Again, the burdens and benefits of such a treatment must be weighed and in the end the patient’s wishes need to be respected. The criticism that Childress and Beauchamp dole out for the distinction between sustenance technology and medical treatments more strongly supports those that agree on removing feeding tubes if they have been determined ineffective. The criticism goes against the argument that artificial feeding and nutrition can be viewed as a routine treatment that should not be stopped once it has begun. 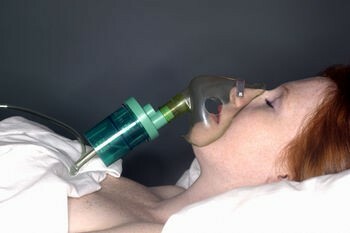 The pain that the patient may be suffering during the artificially administered feeding also strengthens this position. Childress and Beauchamp clearly state that a treatment may be terminated if it is a useless practice, useless in that it works but the patient does not benefit, or useful but the burdens it entails outweigh the benefits for the patient. These all seem to support removal of feeding tubes on PVS patients if it is a useless practice and therefore only that side can be supported by Childress and Beauchamp’s criticism. The fourth and final distinction criticism that I analyzed from Childress and Beauchamp was the difference between intended effects and merely foreseen effects. Childress and Beauchamp critique the Rule of Double Effect that claims that an act with one good consequence and one bad possible consequence is not always morally prohibited. For an action to satisfy the requirements of the Rule of Double Effect the nature of the act must be a neutral or good, only the good act is intended, the bad effect must not be the means to the good effect, and of course the overall good of the act must outweigh the bad (proportionality). Childress and Beauchamp believe that this distinction between intended effects and merely foreseen effects is ridiculous because they are primarily one and the same. A person may not intend for a negative consequence to occur from their actions but they anticipate that it may happen and thus it is part of act. These intentional acts have known consequences that the person must be ready to accept if necessary. It’s like gambling, you should only bet what you can afford to lose and you must keep in mind the worst case scenario. They argue that the intention does not matter and that there are no moral differences between expecting a consequence to take place and merely foreseeing a possible consequence from taking place. The Rule of Double Effect does not take good or bad consequences into account as much as it should. The only portion of it they agree with is the proportionality criteria but even that is often restricted by the other three criteria. Childress and Beauchamp’s criticism of this distinction seem to affect both sides when it comes to removing artificially administered nutrition and hydration in PVS patients. The Rule of Double Effect seems to condemn the removal of feeding tubes since the nature of the act can be seen as euthanasia, the bad effect seems intended, and immoral means are used to achieve the good intention. Since Childress and Beauchamp severely disagree with the Rule of Double Effect then their criticism would strongly support those in favor of removing artificial feeding tubes in PVS patients. Both sides will most likely support the idea of proportionality that compares the good and the bad that comes out of the action. The side that would remove feeding tubes in PVS patients that show no signs of recovery would say that proportionally more good things (less physical and emotional pain, closure, dignity, etc) than bad (death) occur from feeding tube removal than from continued treatment. The opposing side against any feeding tube withdrawal would state that the good consequences that could come out of such an action would never compare to the evil of killing an innocent human being. Although this criticism of distinction is less relevant in regards to PVS patients, overall their conclusion can be used by either side in this case.